Before flying out I took a short tour of the city. 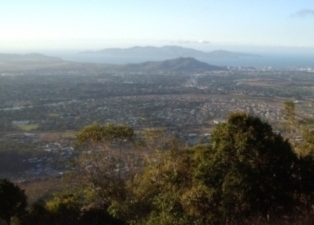 Here’s a view of Townsville from Mount Stuart. 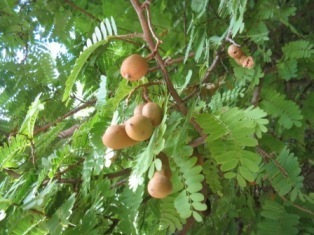 Tamarind trees are common in Townsville. This one is just up the road from the cookery school. The pulp of the brown pods add a sour and tart note to many Asian dishes. There are some interesting etymological origins of the word ‘tamarind’. The Arabic tamr hindi simply means “date of India” (‘date’ being a general name for the fruits of various palm trees); needless to say, tamarind neither stems from India nor is it related to palm trees. It is a native of Africa.